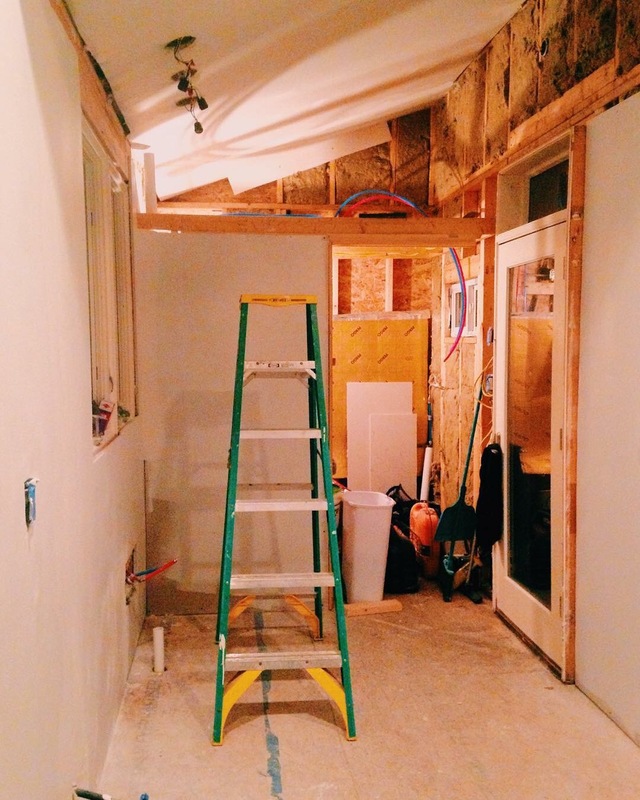 After much hemming and hawing, we opted for sheet rock on the ceilings and walls. We didn’t use any fancy tricks, just installed like you would in a home on a foundation. We were so nervous that it would crack and crumble in transport. As soon as we arrived at the destination, I lept from the truck and made a b line for the inside to check for damage. It was dark out (working at night seems to be a theme) and we had to use our cell phone flashlights. Thankfully, there was no damage. 7 months later, there’s minimal cracking along the seems but nothing that is alarming. After we finished building, I found an Article from Tiny House Talk highlighting tips for installing Sheetrock in a tiny house. I wish I’d found this just a few weeks sooner! But all in all, the walls in Little Lou are just fine. It is drywall. So far so good! I have minimal cracking that happened over time but did not get worse when I moved the house.